Lifted from his the current album Paradise Sold this joint collaboration alongside Langenberg seeks out an urgency that becomes all too apparent depending on the numbers. From one aspect the undulating stabs feel like haunting, atmospheric ruminations. Yet viewed from another the reoccurring, sizzling Acid lines are purely fierce, cutting determinedly through the airwaves backed-up by a single strident kick drum. Never one to underplay the power of music in all its forms NGC 6240 supplies and then satisfies the demand for invigorating moments. Remixes come from Tim Engelhardt who lifts the rhythms skyward adding hints of melody amid the rush of synthesized keys. Plus, from Vince Watson who inevitably stokes the fire igniting the array of stabs punctuating and building the tension in expert fashion. 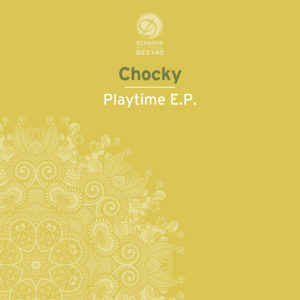 Returning to Steve Bug’s super good imprint Chocky once again delivers smoky, involving music over the course of travel. Double Dip begins the recession busting selection with a deep, hypnotic combinations of bass and smooth organ stabs offset by addictively punchy vocal hits, plus a heavy dose of soulful intention. Which is much the same for the warm rush of the pad induced emotion care of, Organism. Or indeed the same could be said of, Soul Alive which feels that bit tougher via its flow of uplifting arpeggios and vocals. Leaving the more intense tones of the Playtime Dub to end with Jazzy piano possibilities and filtered hip-shaking skill. 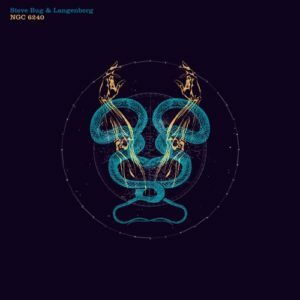 The label continues with their series of excellent, hard-hitting releases and this from label boss Steve Bug alongside Langenberg is also sure-fire brilliance. 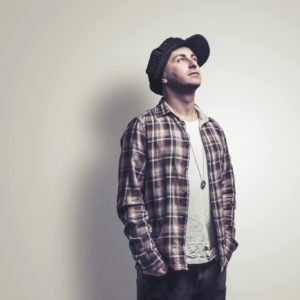 The aptly titled Cloud Cluster hits you in a hurry as layers of keys unfold with atmospheric, bassy strings resonating all over the bottom-end while punchy Acid lines fuel the energy towards completion. Resulting in a complex lesson in mood and richly rewarding emotive states. Next is the turn of, The Teaze which combines a wealth of fizzy synth riffs and notation over gritty, feverish stabs and repeating, insistent drums building its intensity carefully, intently. Hello and welcome to Magazine Sixty. How and where did you both meet and what inspired you to start making music together? Mitchel is a longtime friend of Thijs’s brother Bram since they started DJ’ing together. Later on the two started producing together and through that the two of us got to know each other and felt a sweet spot for each other in our vision about making music. Tell us the story behind your stunning new single: You Got To Try and how it was then created in the studio? 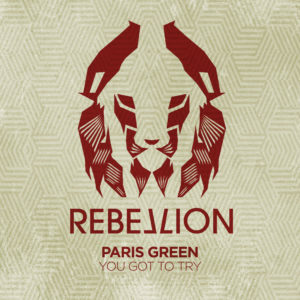 “You Got To Try” is created during a session with David Stolk. David is a friend of us who we work regularly with. 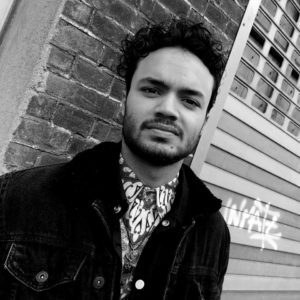 He is an insanely creative and fun guy to hang around with and he has an impeccable knack for catchy hooks. We wrote it as a song, just from a chord progression on the piano. David transposed it and from then on it was ‘instant magic’. The basis of the song felt so good and special that the Paris Green production grew around it effortlessly. Your music resonates with many influences. Could you tell us about some of them both within and outside of electronic music? We hardly ever listen to electronic music when we’re working in the studio. We try to find our inspiration from very diverse corners. 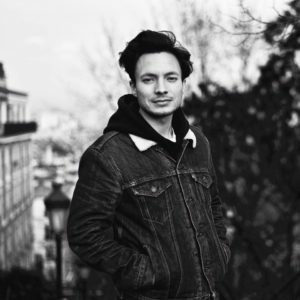 Mitchel has a sweet spot for hiphop and soul music, while Thijs has checked out a lot of modern and indie jazz. We’re exchanging a lot of music. So we end up listening together to artists like Frank Ocean, Radiohead, Robert Glasper and Mark Schilders. In electronic music we really dig music from artists like Floating Points, Nathan Fake, Luke Abbott and Kowton. But we’re also checking out upcoming cats such as Henry Wu, Neinzer, Ploy and Simo Cell. Outside of the musical inspirations there’s also a very strong visual aspect that resonates with our music. We’ve got a natural interest in art, design, architecture and fashion. Because just as music, it uses textures and expresses a certain period too. We love clean, spacious designs that fit to our music. What is your favourite synthesizer? Do you own one? We have our go-to virtual synthesizers, but recently we also are experimenting with hardware synths, such as modular synths like the Roland System 100m and some synths that Thijs owns. The one we’re getting the most heat out of lately is the Roland Alpha Juno-1. How would you place the importance of musicianship and musicality in today’s Dance Music? We can’t speak for everybody else but for us it’s everything, it’s definitely the fundament of our music and where we try to make a difference. Without it our music wouldn’t sound even close to what it sound like right now. Can you tell us about how you got the tracks signed to Rebellion, and also the choice of Steve Bug to do the remixes? I think it all started with Kölsch who played our track in his BBC 1 Residency. Maybe before that, when we spoke to George Fitzgerald at a festival in Amsterdam and asked if we could send him some music. He responded that he really liked “You Got To Try”. That’s when we started to believe in the track. But the BBC Radio 1 play is where we gained a lot of interests from all kinds of parties. It was a bit of a rollercoaster because suddenly you have to make decisions which affect our career in the long term and we have a tendency to overthink everything. From all the offers we got, Rebellion just felt right. And from that decision we also got the opportunity to get Steve to remix our track and to us it’s just insane to have him on board of our first release! What influence does living in Amsterdam have on your making music? Do you have any favourite bars or clubs that you would like to recommend – past or present? (Mitchel:) there’s just so much happening here, it’s a city of many faces. Depending on the evening, my favourite venue is the Paradiso. It’s a very unique place where artists like Kurt Cobain and James Brown performed. This is probably the most geeky answer that I can give but I like to hang out in the public library. I love the space and that it’s really calm. Sorry. (Thijs:) there are a lot of cool spots to visit in Amsterdam. Such as the jazz sessions at De Kring, new clubs like De School, Shelter and Claire. And way too many nice bars, record stores, museums and parks to mention just here. What plans do you have for the rest of 2017 and into beyond? We really have a huge pile of new music just from 2017. We’re still working on new music almost every day of the week. There’s material for a new EP, but first we have to see how our first release will work out, before we make our next move. We’re really eager and ambitious, but we also know that we’re just getting started. We’re just gonna have to look at it step by step and I think that’s a really clear and realistic view on the situation right now. Breathing like an old-time soul classic the beginning of Mitchel Kelly and Thijs Bastiaans aka Paris Green’s emotionally resonating You Got To Try feels every bit like a great record, right down to its relatively short life-span of 4:20. Time is inconsequential here as the smoky, downbeat vibes gather their own pace amid unfussy drums, low-end bass and David Stolk’s yearning vocal delivery. Ghost, then lifts the mood a touch with suggestive keys hinting towards a climactic sense of occasion inside shuffling machine drums and wobbly synth lines plus voices. 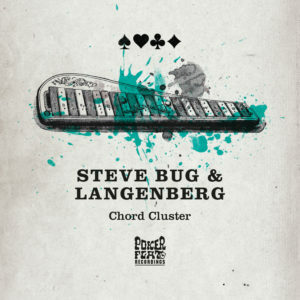 But back to the title track and Steve Bug’s two equally striking remixes with the warm exhilaration of his Sunset version sounding particularly wonderful, while the Club Dub does just that via stripped down beats acquainted with fizzy synthesiser sequences. Killer release for sure with four tracks delivered hot and heavy from the creative Japanese producer. The bass pulverising Be There starts the EP as it means to go on with thundering kick and low-end notation fuelling the shuffling rhythms as uncomplicated organ stabs hit the repeat button, aided by occasional emotive flourishes of sound. Give Me continues the theme with whirring jazzy keys and smoky voices continuing the intention as the tougher Feel It Dizzy sequences vocal hits with punchy percussion. 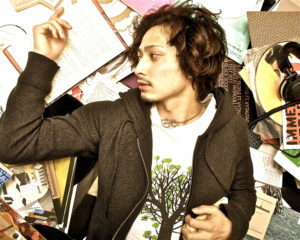 Leaving the deliciously deeper Live Ur Life co-produced by Miki Shinichi to add a definite message to the music. 2017 sees the launch of your new alias: Rowee with a single for Rebellion. What’s the story behind the name and why have you chosen to use an alias? Rowee comes from a story based on a profound feeling for music, representing an alter ego; it is the darkest part of me, and at the same time the hypnotic and mental part, music with a soul. Artists often have several different faces, and the decision to hide a side of myself in Rowee was immediately the right choice. I needed to somehow express a part of me that I hadn’t yet revealed. The release ‘Disguise EP’ features collaborations with Thomas Gandey, KnowKontrol and Simon Wish. Tell us about how your working relationship came about with these artists? And with label itself? 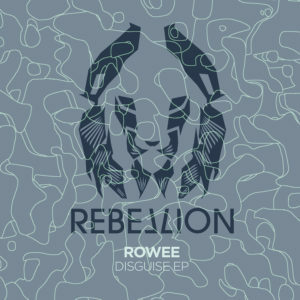 I met Damian Lazarus at a party in Tuscany, where we talked about some demos I had tucked away in a drawer… I always thought that the best “home” for Rowee would be Crosstown Rebels / Rebellion. 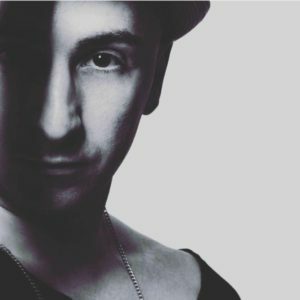 Damian Lazarus is a great artist whom I hold in the highest esteem, both for his musical choices as a DJ, as well as for the high quality of his labels. The Disguise EP represents a “voyage” divided into three different sections; “Earth To You” created together with our friend Thomas Gandey describes sensuality and essentiality through music. We created a minimal environment that serves as a background for a sensual, cutting edge voice. We got to know Thomas a few years ago, sharing the console at a well-known Italian club. We started collaborating on that day and have since cultivated a valuable friendship and in-tune relationship. The second track that gives the EP its name is “Disguise”, a collaboration with the singer KnowKontrol, a profound track with an authentic soul, “a lost sense of complicity hidden behind the guise of two people pretending that their relationship is OK”. I have always admired the vocals by KnowKontrol on tracks like “After Dark” by &ME on “KeineMusik” or “Shadows” on “Saved”, so the decision to collaborate with him was easy. The voyage concludes with “It Shows You”, a collaboration with our friend from New York, Simon Wish. We developed the track with an acidic sound and the right energy for the dancefloor, a perfect conclusion for this 3-Track EP. Can you talk us through how you created one of the tracks from the initial inspiration to the final production? How would you describe the studio that you like to use? Work in the studio is usually very fast and straightforward. I try to convey my concept based on inspiration from past artists and sounds that are often beyond just the dancefloor, to then go into the studio and work on all the ideas together and develop the album. I really like using Moog, Modular, Minimonsta systems; they are often a source of great inspiration for creating an album. In the case of the single “Disguise”, the entire concept was born from the vocals and the feeling they expressed; I just needed to create the right costume to perfectly fit the meaning conveyed by the voice. So with an ever-present and essential groove, a hypnotic riff and a moog synth that gives the perfect energy behind the vocals. The result was exactly what I was looking for, the right balance between groove and synths, emphasizing the vox to their maximum. You’re playing at the BPM Festival in January. How do you prepare for such an event? And what are your feelings on the rise of festival culture (as opposed to having a residency in a Club)? I think the BPM Festival today represents one of the top festivals in the world, with an enviable line up and the incredible backdrop of Playa Del Carmen. I am much honored to be part of the official line up. I love festivals that take place under the sun, giving the atmosphere positive vibes, plenty of smiles and energy. I don’t think it’s possible to compare a club and a festival, because they each give you a different sensation… a club makes you feel “at home” with the contact among the people immediate creating a great feeling on the dancefloor, with the “detachment” between the console and the public is totally cancelled out in a club. In contrast, a festival does not really have this aspect, because detachment is unavoidable, but the energy of a big crowd gives you a one of a kind, amazing sensation. Tell us about your choice of music for the forthcoming BPM2017 compilation? What for you makes the perfect club track? I usually don’t choose the music before the event, and I always try to let myself be transported by the emotions that are generated by the dancefloor as I am playing; that’s when I select the tracks for my set, often alternating my works with those from other artists. I don’t think a perfect track exists, but I do think that a DJ’s approach to the dancefloor makes any track the perfect one. What’s the scene like in Florence at the moment? What are your favourite Bars & Clubs? Florence is an incredible city, full of beautiful places for organizing parties, and the underground scene is very interesting. There are many talented people and interesting parties happening, like Nobody’s Perfect at Tenax, the Next Tech Festival (for the techno scene) and many others, like the Tropical Animals, who represent the essence of the Florentine underground scene. How did you first get into producing music and where did you learn about it? I began producing about 10 years ago, but my first real approach to music was when I was young and I studied how to read a stave and understand the notes, as well as studying acoustic guitar. I have always thought that studying is important, but I think it is just as important to learn from people who have a lot of experience. For example, Fabrizio Giovannozzi (a well-known engineer who passed away a few years ago) is one of those people I always admired for his body of knowledge and experience in the world of sound mixing. I learned a lot from him and I began to understand many aspects that cannot always be found in books. It is important to listen to and capture what you can from everyone, to then reinvent it within your own mind. 2017 is just the beginning. Rowee debuts in the month of January with two very important EPs, one on the Steve Bug label and the other on the Damian Lazarus label. I am very happy to be part of an important crew like the “Crosstown Rebels / Rebellion”. I am already working on new tracks, and why not, maybe a new album? So stay tuned!